Bad Pharma Chronicles - Crestor & Medicaid Fraud? Bad Pharma Chronicles – Crestor & Medicaid Fraud? Pharmaceutical giant AstraZeneca released a major ad campaign for its heart medication, Crestor. One of those ads starts with the tag line, “Get it right the first time.” Medicaid officials in Texas, however, think AstraZeneca didn’t get it right… they believe the company has defrauded the public and taxpayers with “false and misleading marketing” of Crestor, the company’s leading heart medication. Last month the Texas Attorney General intervened in a Medicaid fraud complaint originally filed by four whistleblowers. The claims about Crestor will be litigated for years to come. In addition to the Medicaid fraud whistleblower suit, there are class action claims filed by patients who allege that Crestor causes diabetes, and other dangerous side effects. This post is about the Medicaid case originally filed by four different whistleblowers. Their story is worth telling. Relator* Layne Foote was employed by AstraZeneca from 2003 through 2009 as a pharmaceutical sales specialist. Foote was hired to promote Crestor and other company products to physicians in the Louisville, Kentucky area. Like many pharmaceutical sales reps, his pay was based on sales. *The term relator is a legal term used to describe whistleblowers that have filed false claims act cases in court. A few hundred miles to the north, relator Mark Loden was hired by AstraZeneca to sell Crestor and other company products to physicians in the B0ston area. A decorated Marine Corps veteran, Loden left military service to begin a career in the pharmaceutical industry. Relator RoseMarie De Souza worked for the company for 10 years. Starting as a sales rep, she ultimately worked her way up the ladder to a senior sales executive. Like the others, her duties included getting doctors to prescribe more Crestor. The final relator, Kenneth McDonough, is a physician. Employed by AstraZeneca as the company’s national medical director of managed care. His job was to interact with state Medicaid officials, insurance companies and HMO’s. Last year, the company reported having about 50,000 employees. Only these four, however, all living in different areas of the country, decided to step forward and report their concerns that AstraZeneca was engaged in a massive Medicaid fraud involving Crestor. Why? 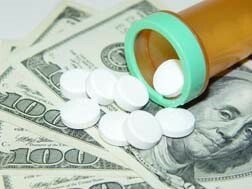 Some Medicare and Medicaid fraud cases involving the pharmaceutical industry involve pricing. State and federal laws usually say that taxpayer funded healthcare programs are entitled to the lowest price on prescription drugs. Those regulations make sense; the government wants to make sure that taxpayers are never paying more than they should. The allegations in the Crestor case aren’t about money, however. They involve patient safety. The government says that about 1 in 4 adults over the age of 45 take a prescription drug to control cholesterol. Crestor is one of those medications. The four whistleblowers claim that the company began an unlawful promotional scheme aimed at doctors. Why doctors? Because Crestor requires a prescription. According to the four, AstraZeneca’s Medicaid fraud scheme included ” promoting Crestor’s efficacy for unapproved or ‘off label’ uses, misrepresenting the results of clinical studies and misleadingly claiming Crestor’s superior efficacy to Lipitor.” In other words, the company lied about its safety and clinical data. As noted above, this story isn’t about the claims themselves. There is evidence that AstraZeneca knew about the dangers of Crestor over a decade ago. Courts throughout the country will ultimately decide whether the company is responsible for misleading advertising or endangering patient safety with dangerous drugs. Instead, this story centers on the whistleblowers themselves. Texas law protects whistleblowers against retaliation. None of the four whistleblowers in this case are still employed by AstraZeneca, however. Notwithstanding strong anti retaliation provisions, becoming a whistleblower is never an easy decision. Some law firms falsely lull would be relators into thinking the process is easy. It isn’t. Interestingly, all of the whistleblowers I have represented and met said they would do it all over again. Even those who didn’t receive a penny for their efforts. Like former Lt. Mark Loden USMC – now relator Mark Loden – we suspect that Loden and the three other brave individuals in this case share a strong sense of justice. A sense of right and wrong. Having represented many whistleblowers, we believe that all are primarily motivated by a desire to stop fraud and rein in corporate greed. In Medicaid fraud cases, the motivation also includes protecting patients from harm. We have also always believed that whistleblowers are the new American heroes. Unfortunately, it isn’t always easy being a hero. Whatever happens to Foote, Loden, De Souza and McDonough’s Medicaid fraud claims, they are unsung heroes. Have information about Medicare or Medicaid fraud or bad practices in the pharmaceutical industry? Give us a call. We help whistleblowers stop fraud and collect the maximum awards possible. To qualify for an award – and to be protected from retaliation – one must file a lawsuit under seal in a federal court. State Medicaid fraud procedures vary somewhat from state to state but most require filing a sealed complaint in state or federal court. or by telephone at (414) 704-6731 (direct). All inquiries protected by the attorney – client privilege and kept strictly confidential. We never file until you are ready.